I also realized, when the blog post was nearly done, that it may serve as a brief explanation of XG-G on a team and seasonal level. 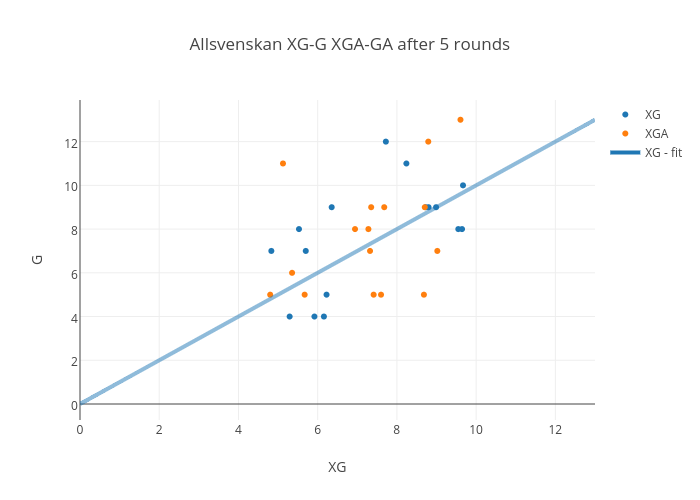 In general – teams tend to level out where expected goals (XG) and actual goals scored correlate more and more as the season progresses. 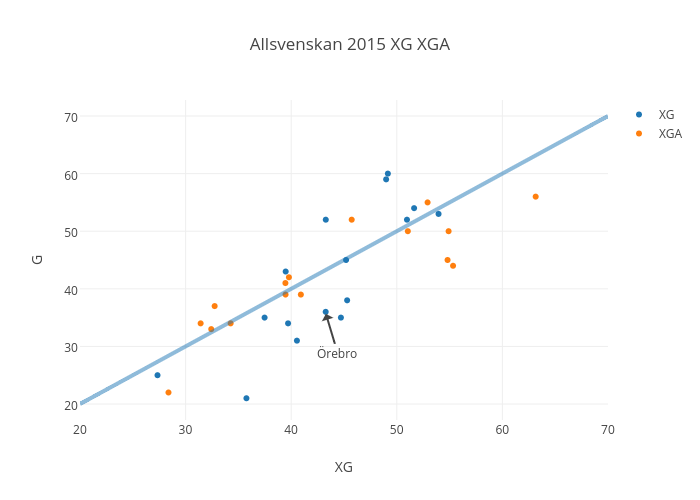 We saw that very clearly with Örebro last season. And they have started this year as they ended the last. So right now Örebro are the underdogs as IFK Norrköping was last year. The two plots above also illustrates how teams tend to level out – the dots go against the middle, as the season progresses. Now, the two tables above is a reflection of Expected Goals for the different teams so far. How does the table projection look like? I used my model and ran the projection with 25 rounds to go. The accuracy this early isn’t huge but we still can see some patterns. 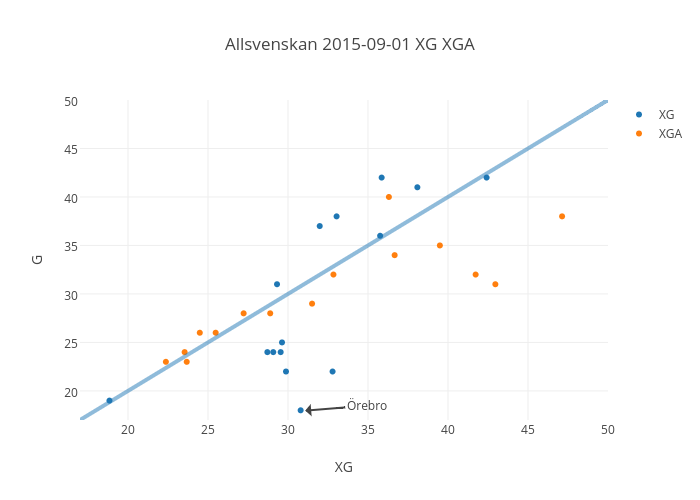 Note that my model doesn’t take XG into account, only TSR, together with lots of other parameters. Still some interesting things can be noted. GIF Sundsvall may very well drop a lot in the table. Title contenders Elfsborg will have to start performing better – they haven’t been unlucky. 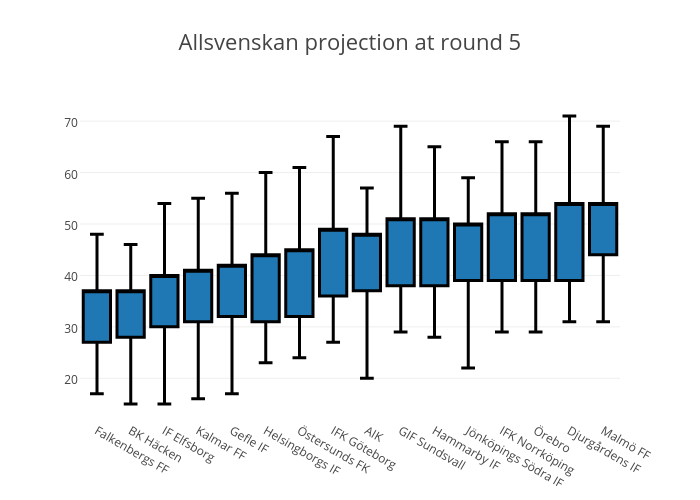 Malmö FF on the other hand still seem to be the largest favorite.